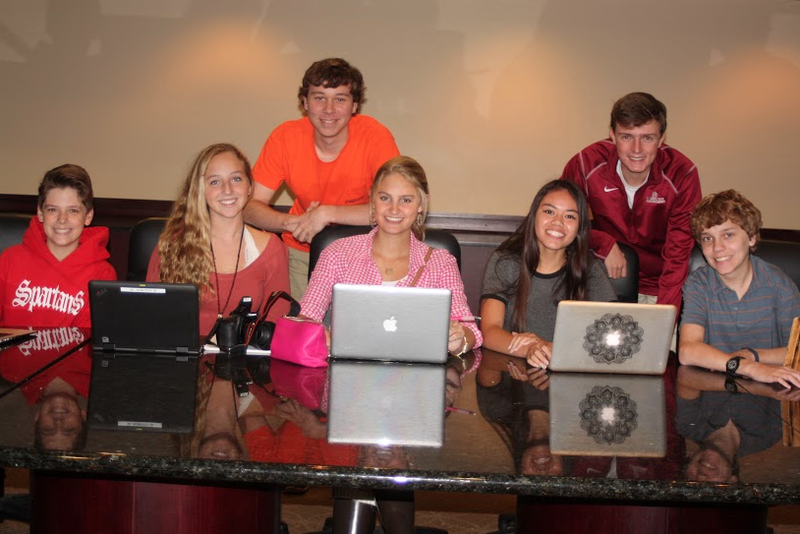 Welcome to the revamped site of The Wolverine, your source for news in the Walker Upper School. For everything from Friday night lights to ways to ask someone to homecoming, The Wolverine staff will have insightful news and tips to help get you through high school. As you have noticed, The Wolverine is now online, and the staff is thrilled to start bringing you news in new ways, from sports pump up videos to articles exploring well known Walker traditions. The staff and I hope you are as excited about the revamped Wolverine as we are. For the first time in the history of The Wolverine, our publication will be shared solely online. We have decided to take The Wolverine online in order to explore news and media networks and make our articles and updates more readily available to you. The staff is planning to try out media new to us, like video footage, polls to solicit your opinions, and even Twitter and Instagram feeds. By taking the paper online, it will always be available to readers and can be updated frequently. Plus, by taking the paper online, Walker is being more eco-friendly. In years past, the staff has had to print the the minimum number of newspapers that publishing companies require, 500 copies, even though there are not even 400 people in the Upper School. Check The Wolverine’s website frequently for exciting news coverage of events going on around Walker in new ways. The staff and I will have you covered! Ally Chebuhar is a current Junior and Editor and Chief of The Wolverine. She is a Varsity Cheerleader, Track and Field runner, and co-President of SSO, the Student Service Organization. Ally is passionate about service, baking, politics, and zumba. You can probably find Ally around campus in a math classroom getting extra help or at her younger brother’s sporting event! She would love to go to college in North Carolina and study both political science and journalism. Jack Jones is a current junior and reporter for The Wolverine. He is a varsity baseball pitcher who likes to run and hang out with his friends during his free time. You can probably find Jack in the library studying, in the gym training for baseball season, or on the baseball field throwing and practicing for baseball season. Daryl Hutchins is a current junior and reporter for The Wolverine. Daryl has attended The Walker School for four years now. She is a varsity cross country runner, basketball player, and track and field runner. Daryl enjoys photography and listening to music. During her free time, Daryl likes to sleep, watch movies, and hang out with her friends. You can probably find Daryl in the library cramming for a test or finishing homework she procrastinated doing. Daryl is excited to explore her interests of writing and photography in this semester course. Emmett Allen is a current sophomore and reporter of The Wolverine. He is a grade level representative for SSO, a member of Latin Club, and a member of Model UN. He enjoys playing video games, rock climbing, swimming, and spending time with his brothers. You can probably find Emmett playing four square at lunch or in the library tutoring younger students. David Kahn is a current junior and reporter for the Wolverine. He has attended Walker since pre-k and plays basketball for Walker. David loves to watch and play sports, hanging out with friends, and watch movies in his free time. You can catch David at the gym for basketball, or in front of a tv on the weekends in the fall watching college and NFL football. Nic Castonguay is the biggest Blue Jays fan you can come across in Georgia. He is originally from Newmarket, Ontario, Canada. Nic has always enjoyed playing baseball, basketball, football, and soccer. Since joining Walker’s journalism class, he has grown a passion for sports journalism in general and baseball to be specific. Look out for his articles if you are a sports fanatic like him! Jesse Baynes is a current Junior and a reporter for The Wolverine. Jesse has attended Walker since Kindergarten, and is eternally bitter that she is not technically a lifer at this school. She has participated in volleyball, basketball, and soccer in the past, but now focuses solely on basketball, soccer, and the school play during the fall. Jesse partakes in a variety of clubs, and is an SAU class representative. Jesse’s favorite activities include hanging with friends, watching Alabama football destroy their competition, and attending concerts. If you see Jesse Baynes in the hallway, never hesitate to say hello or offer her food, she will happily respond nonetheless.